At BestHealthFoodStore.net, we're different from typical health food stores. 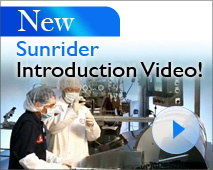 We only sell products made by Sunrider, in Los Angeles, California. Why? Because we know intimate details about all 417 products they make. We know how the products are designed, manufactured, and packaged. We know who makes them, and why they work better than just about everything else being sold in the health and beauty industry today. And, we know thousands of people like Margaret here, who have used these products with tremendous success for many years. 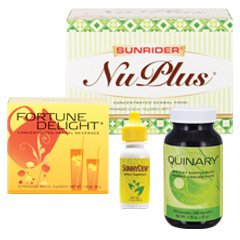 Sunrider is now celebrating 30 years of leading the way to health and wellness! Yikes! It's hot in the USA. Here in Arizona we've been topping out over 110 degrees Fahrenheit every day. Jane and I are pretty energy conscious, so we've tried to not run our air-conditioning as much this summer. Plus, I've been doing a lot of cycling and Jane's been gardening, so we stay active, even in the heat. How do we stay cool in the scorching Arizona sun? It's like air conditioning from the inside out. Fortune Delight really does help keep our internal organs from overheating.